As I lead a fairly domesticated life, as well as being a writer and artist - and as I love to cook and garden, I sometimes wonder how some well-known yet, rather obscure phrases seem to start with edible items or from the old arts of cookery. Or do they?? In the phrase, "He's a hard-boiled man. 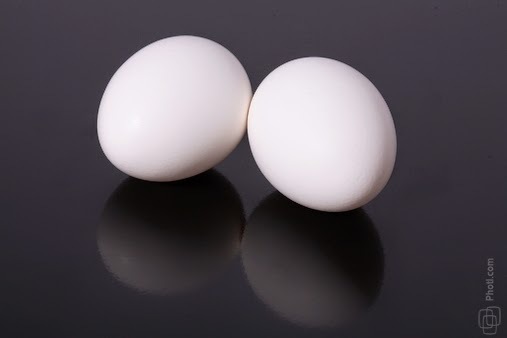 ", it would make sense to think the origins of it had to do with an hard-boiled egg, right? Everyone I asked said that's what they assumed regarding the origin of the phrase. I thought it meant someone who was "hard-boiled" like an egg with no soft centre and an attitude of "their way or the highway." Well, apparently it has nothing to do with eggs at all, although it does come from a domestic activity. Women of early settlement years in North America, used lye soap - and often washed clothes in an open stream or cold water. But white fabrics could turn grubby and gray very fast -- so once every month or so, the more fastidious homemaker would boil her "whites" in a huge pot until all the dirt was washed out. Then she would starch important pieces, such her husband's "going to church" shirt and her bit of lace - with a paste she made herself. Sometimes, she would miscalculate and get her husband's shirts so stiff with starch, they would actually become hard. So this term often passed to the man himself, and the hard-boiled America male emerged! Note: I still like the idea of the hard-boiled egg. Shell intact, but hard inside with no soft center. But that is not the origin of the phrase! Or play some queer rogue's trick to stop us." How can this be related to the kitchen or domesticity? Well, here's why! More than a few centuries ago, if someone lost a bet of any kind, they might say, "If I lose again, I'll eat my hat!" Now, if someone ever has the intention of actually doing this, it would be a very good idea for them to know the etymology of this hat-eating lark. You see ... eating your hat is not about shoveling tweed, felt or fur into your mouth; be it a cap, a hood, a leather stetson, chapeau, tam, or trilby. 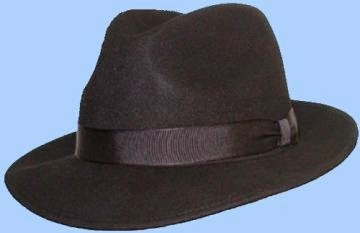 Scholars of food, claim it actually refers to a culinary product called a "Hatte". Mrs. Alexander's editing of an Medieval Cookery book which I recently downloaded to my iBooks files: A Noble Boke of Cookry Ffor a Prynce Houssolde or Eny other Estately Houssholde. Reprinted Verbatim from a Rare Manuscript in the Holham Collection, gives the following information regarding "Hattes". "Hattes are made of eggs, veal, dates, saffron, salt and more." Apparently they were dense and not very easy to eat. Other source "An Ordinance of Pottage"
...make your pastry on round foils of the breadth of a saucer, as thin as may be drawn. Turn it double, that the edges may come to the middle of the foil; then turn it together that the edges on the bigger side meet all about, & the smaller side turn upward without in the manner of a hat. And close well the edges that they hold well. Fill there-on your stuffing. 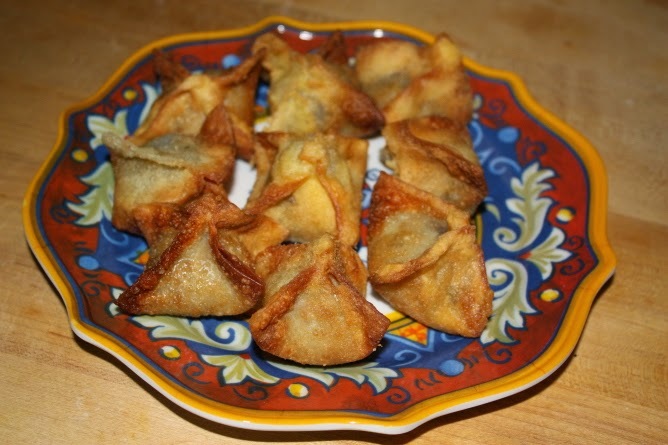 Have a batter of yolks of eggs & wheat flour in the open side that is toward. Look there-in the stuffing be closed, & set it in hot grease upright. When the batter is fried, you may lay it down & fry it all over. I always thought this referred to men or women who worked hard and brought home enough money for food. Or, perhaps, it was a hunting reference. 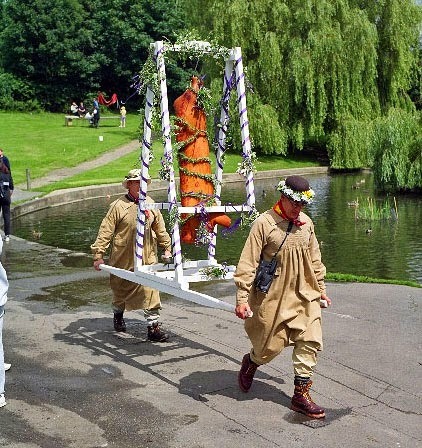 It actually refers to a competition, first recorded in 1445! 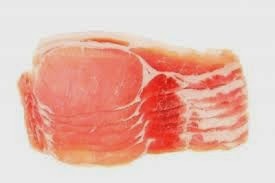 At a church in Essex county, England, a "flitch of bacon" was given out annually to one married couple, who, after a year of marriage had lived in the greatest fidelity, peace and harmony. Couples would come forward and be questioned by a jury of six unmarried men and six unmarried women. Only the couple who could prove, in some way, that they had performed the highest forms of domestic amity, would get the pork. So the winners would bring home the bacon! A flitch of bacon, by the way, is the entire side of a hog, salted and cured. Now here's one saying, I really had no idea about. I knew what it meant. Eating humble pie was finding yourself in the wrong and having to admit it. To apologize was to eat humble pie. But where did it originate? Did it refer to an actual pie? 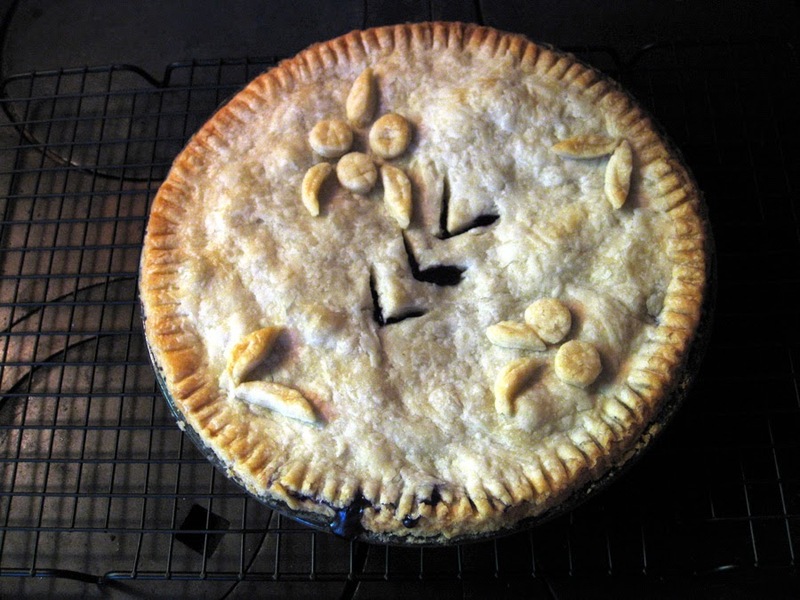 It turns out, that yes, it does actually refer to a specific pie! 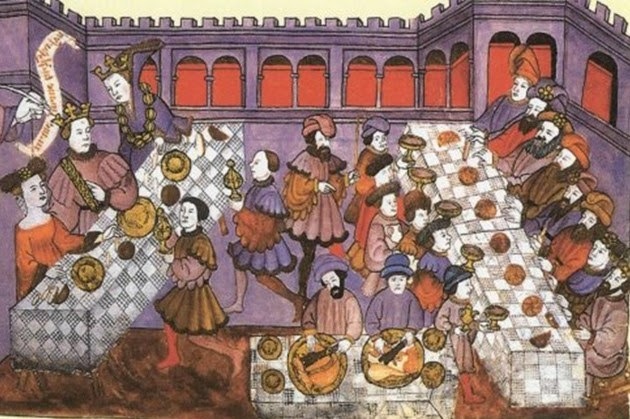 In the middle ages, after a hunt at a great noble's estate, the lord would offer a feast. Of course, he and his family and the people of highest standing would receive the finest cuts of the meat if it was venison, for instance, but those of a lower order would receive part of a pie full of "umbles" which was a word that referred to the innards, the entrails, of the deer - and anyone seeing your dish would know you were not worthy of the finest meat. It then transformed into "making an apology that had the added pain of humiliating oneself". 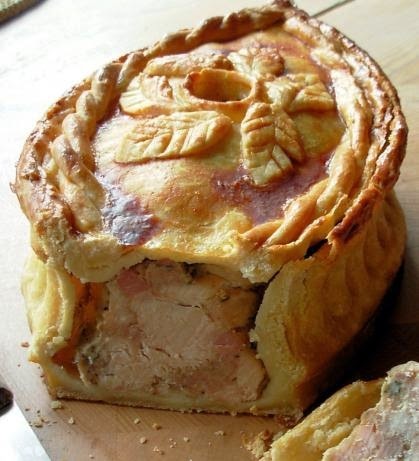 I suspect the "umble" pie looked something like this in medieval times. But with less "meat"! Meaning? Well, most of us know it means thirteen identical baked goods. Simple. But where and how did the phrase originate? It was once said, that this phrase came from Medieval times, when bakers added an extra small loaf to the dozen asked for, in order to avoid being charged with under-weighing their products for sale. It is believed however, that this goes even further back to the 12th C. to probably the reign of Henry II (1154-89). It refers to the the Assize of bread and Ale that regulated the price of bread according to the price of wheat. The bakers of England had a trade guild that regulated bakers, called "The Worshipful Company of Bakers" (which still exists!). Don't you love the name? 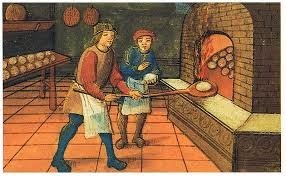 In 1477, the Chronicle of London reported that a baker was 'schryved' (forced to admit his guilt) upon the pyllory' for selling bread that was underweight. Secondly, what I find interesting is that there was no such thing as a baker's eight or even an eleven... odd, that. Buttering someone up, means to flatter someone outrageously in an attempt to get something in return. The intent behind this oleaginous phrase is to flatter by "laying it on thick". Although butter, when soft, smoothly spreads over bread, that is not the actual origin of the phrase. There seems to be two origins. 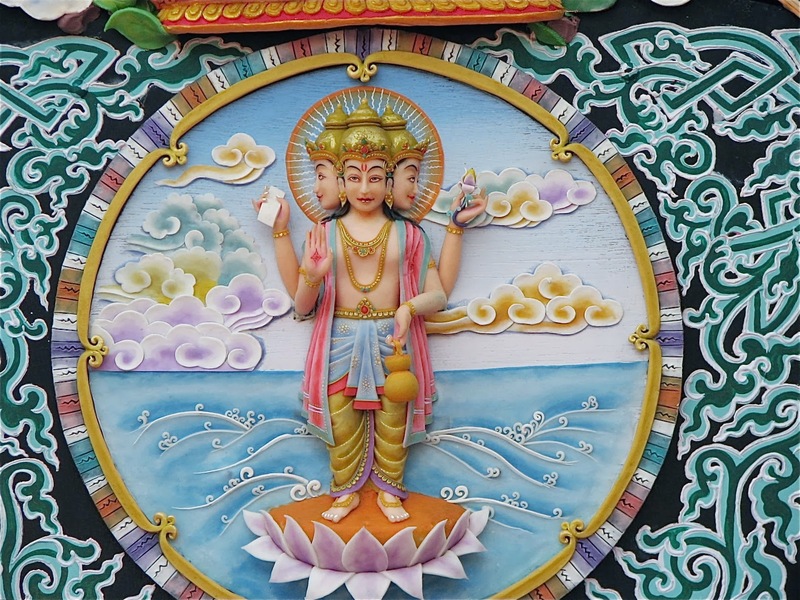 The first is an an ancient Indian custom of "throwing butterballs of ghee" (clarified butter commonly used in Indian cooking) at statues of gods and goddesses" to seek favor. 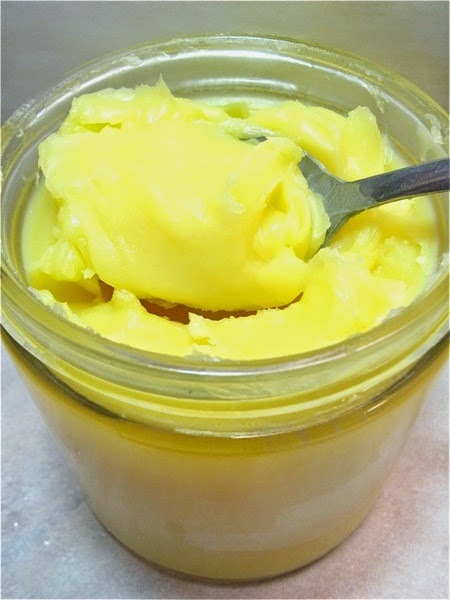 The God or Goddess would be covered in dripping ghee and coloured powders, with offerings at their feet. The second is a Tibetan tradition of creating butter sculptures for the New Year which can be traced back to the Tang Dynasty and the belief that the action of creating the buttery statues would bring peace and happiness for a full lunar year." "Flattery and deceit are the darlings of great men, and so with these men spread the butter on thick, if you want something out of them, otherwise you will come home with a full belly and an empty purse." No doubt about it, this is a rude way of telling someone they are not welcome or are no longer part of the "in" group. I like this painting because the two men facing us are clearly unhappy with their food - and it looks like they are facing the wrong way - they can't gaze upon the lord and his lady.... Definitely getting the cold shoulder in more ways than one. It appears that, although giving someone the cold shoulder today is considered rude, it was actually regarded as a polite or unspoken "gesture" in medieval England for the host to announce to his long staying guests or to uninvited guests that it was definitely time to get the heck out of their manor house. At a feast, the host would let his guests know it was time to leave by giving them a cold piece of meat from the less appetizing shoulders of beef, mutton, or pork. "Ye may mind that the Countess’s dislike did na gang farther at first than just shewing o’ the cauld shouther—at least it wasna seen fartha; but at the lang run it brak out into such downright violence that Miss Neville was even fain to seek refuge at Knockwinnock castle with Sir Arthur's leddy, wha (God sain her) was then wi' the living." Cauld is the same as of cold and shouther means shoulder. Other historians claim it comes from a very old folk saying. As medieval lords were often inundated with hangers on and unwanted guests showing up - some that they could not refuse, these canny leaders had a few ways of getting rid of their leech-like guests - and I suspect the offering of food fit only for peasants, and served cold at that, would upset most unwanted guests enough to get the hint. Mind you, from what I have read, the kitchens were often a very long way from the main dining room in huge manor houses and palaces, and the food would be carried through chilly stone halls and stairways, that even covered, it could be that a few honoured guests might have become a little confused when cold meat was served on their plate! Fascinating research, Margaret! ! Thank you for sharing it! I, too, love The Worshipful Company of Bakers! Amy! Thank you so much for your great comment. I think in my heart, I belong to the "Worshipful Company of Bakers" as it is one of my favourite things to do! I'm in the Company of Those Who Worship Bakers.